USDA-Certified Organic.Gerber Organic Veggie Crips, 143g.Nourish your little one with whole grain goodness by serving Gerber Organic Veggie Crisps at snack time. 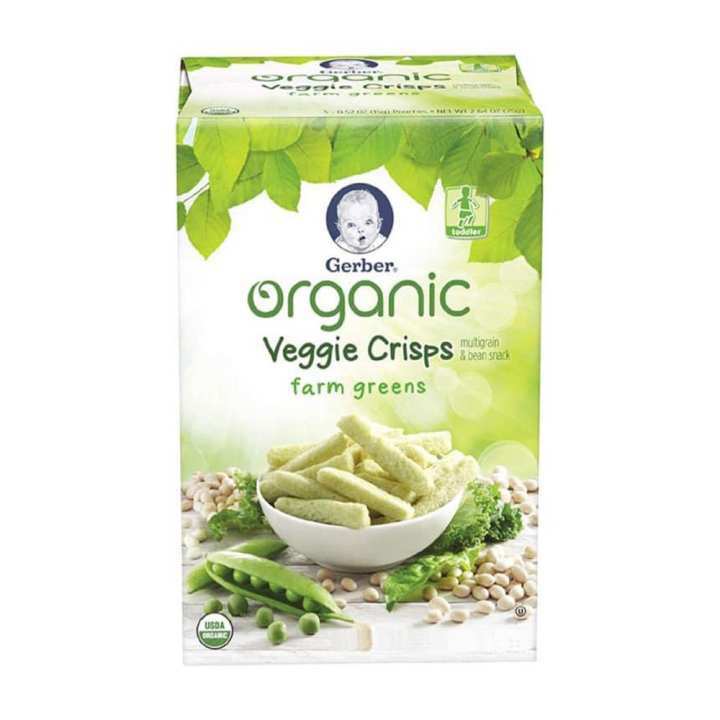 Gerber Organic Veggie Crisps are an extruded organic savory Veggie snack made from a blend of navy bean flour & Ancient Grains. Flavored by real veggies.